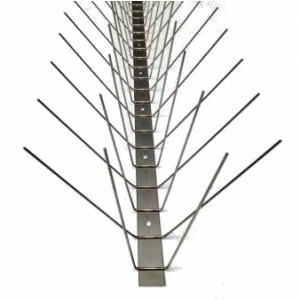 Easy Pest Bird Spikes are a versatile range of precision engineered spike strips designed to provide effective and humane control of problem urban birds. The upward pointing wires or 'spikes' act as a physical barrier to the birds without hurting them. 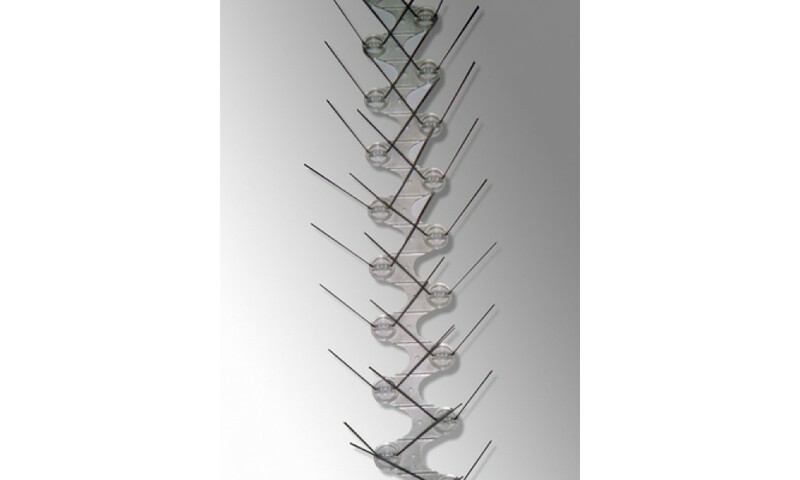 The clever design provides the solution to virtually every situation where spikes are suitable. 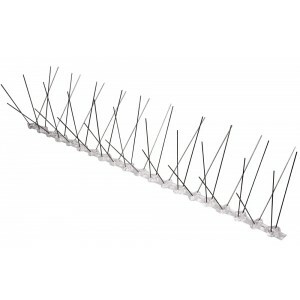 Easy Pest Bird Spikes can be used to protect buildings against pigeons in a wide variety of situations, from day time perching to night roosting sites and from the narrowest pipes to the widest of building ledges. 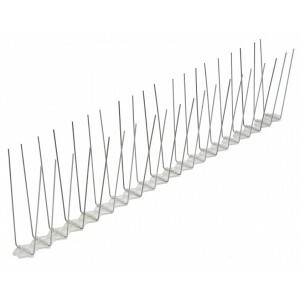 Stainless steel Easy Pest Spikes have the longest life expectancy and the use if high tensile strength stainless steel in particular means birds cannot easily push them out of the way or bend them out of shape. UV-protection of polycarbonate bases further offers a valuable safeguard against cracking or breaking through prolonged exposure to sunlight. 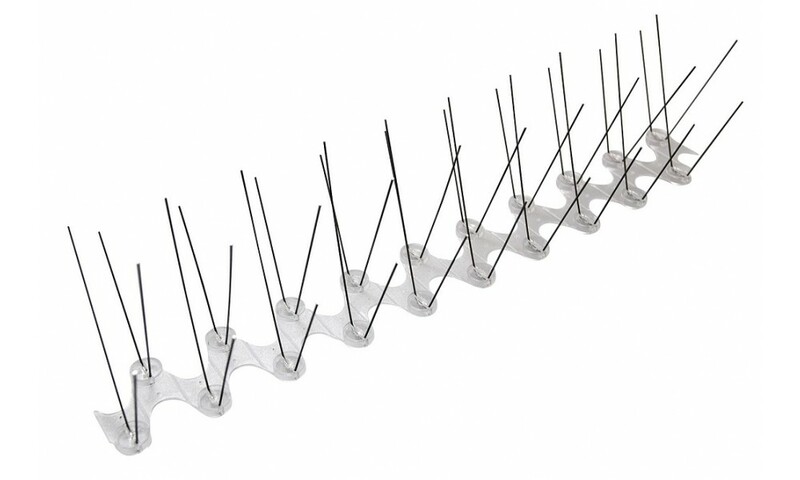 Easy Pest Spikes are far less visible than plastic ones because they do not reflect sunlight and attract far less dirt, continuing to remain tidy and unobtrusive over an extended period. 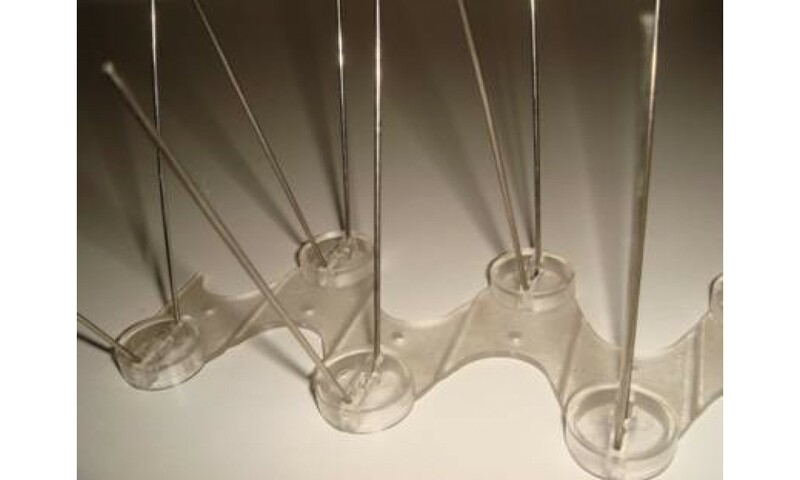 Low profile bases should be specified to reduce visibility from the ground, with translucent plastic blending well into most building surfaces. 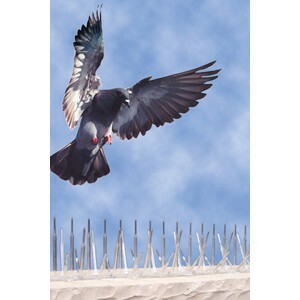 Prevent pigeons and other birds from perching on your property. 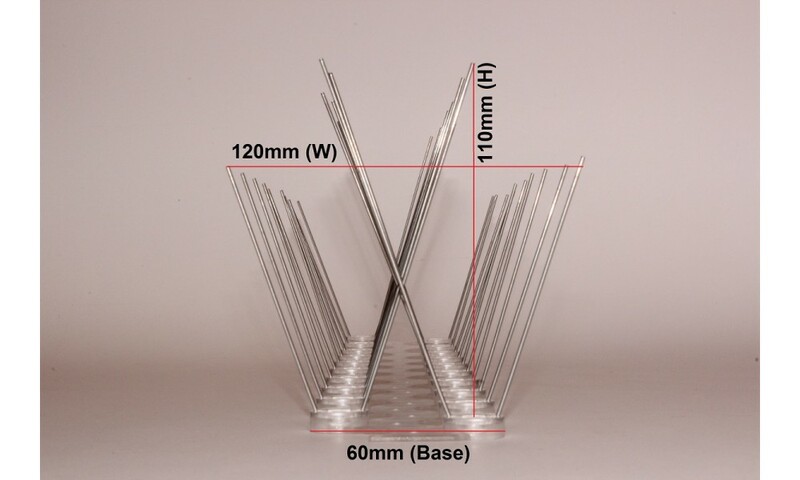 Long-lasting polycarbonate base and stainless steel spikes provides decades of maintenance-free protection. 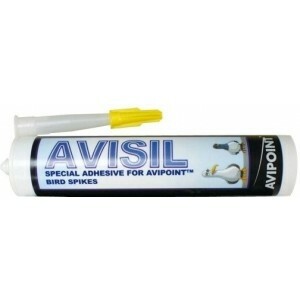 Easy to Install - Attach quickly with adhesive, nails, screws, cable ties, etc. Transparent - Polycarbonate base is transparent which is practically invisible. Spikes are virtually invisible from a distance. Dense - Spikes are close together to give impenetrable coverage. Flexible - Mounts easily on flat, curved or irregular surfaces. Environmentally Friendly - And non-lethal. 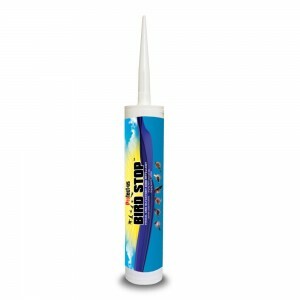 Prevent birds from landing without harming them. 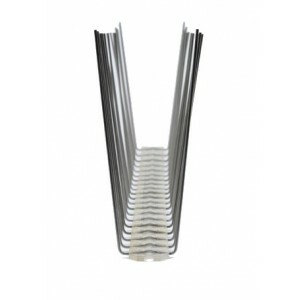 Economical - Sturdy plastic base does the same job as stainless steel at a fraction of the cost. Bird Activity - Day-time perching, night-time roosting and some nesting areas. Infestation - From light to heavily infested areas.